If Lil Wayne can be identified through one fixed lens, it's through his free-associative style -- his calling card for the better part of fifteen odd years. Within the depths of his touched brain exists an endless source of unexpressed ideas. Over time those ideas have come to fruition, often times by accidental "discharge." Many of the Weezy lyrics we cherish the most could be easily confused for child's play if read under different lines, like a Picasso painting perceived to be chaotic and senseless in the eyes of a joyless person. On a superficial level, Weezy's overriding desire to be a skateboarder would suffice in explaining his youthful demeanor, but his playfulness, especially when expounded as a musical idea, becomes observable the more time you spend around his work. Our very own Mitch Findlay opened the discussion by referring to Wayne's comeuppance as the mercurial handling of a "Kid Genius." Weezy's non-compliance to perceived adulthood allows him to occupy whatever ground he so covets. There is, however, a cost that comes with such boundless territory: the narrative tone of a passage or lack thereof (from a lyrical perspective). 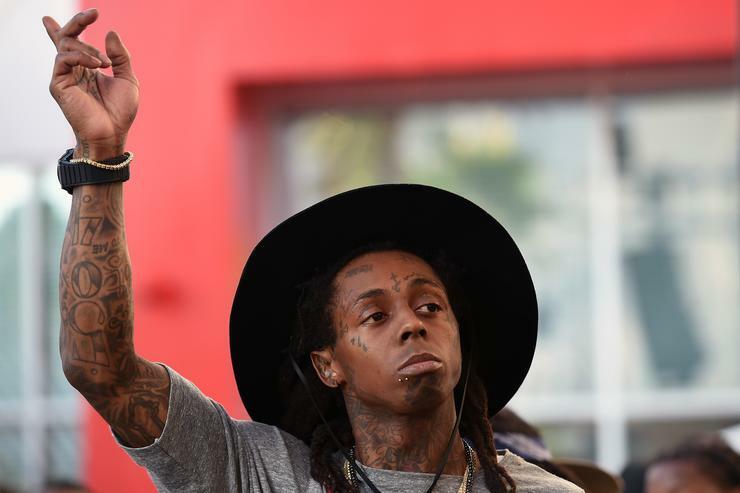 But in his defense, Weezy doesn't create tone by driving home an overcooked idiom. Lines like "my goonie goons the gooniest, run inside your room and kill you and who you rooming with," tickle your brain with unexpectedness; even Wayne was likely surprised by the unrehearsed outcome of "Let It Fly," and that turn of phrase in particular. Furthermore, Wayne has never had to give his music "the parenthetical treatment." When Weezy drops new music the weight of the World feels much lighter, even though a look at the shadowy interior would reveal all the clear and present hardship the Young Money CEO has faced in recent memory: a one year bid in Rikers, psychological torment (caused in part by his meta-addiction to lean), and the general facets of life that keep us awkwardly grounded. "The Kid Genius" doesn't get a free pass due to, or in spite of his childlike demeanor. Beneath the seams of his fragmented mind is a well-meaning person with linear ideas he deems too limiting to explore on a record. The process of recommitting himself to a healthy stream of activity is part of his trajectory on Tha Carter V, an album I would argue is the sobering (high) point of his career to date. On V, Weezy doesn't dwell on the particulars. After letting extraneous factors run their course for X amount of years, it seemed like as good a time as any to adopt church-like manners, through a process of exfoliation. So in essence, Weezy may have inadvertently mapped the third section of a career that was once only comprised two parts: the Hunger Games and the nascent Codeine-Era. We were often made to feel wary that he might suddenly choose to retire, and yet he persists at the highest level. Thankfully none of his extended growth has come at the expense of the free-associative style we now consider as important an institution as drive-in cinema and apple pie.